Yes indeed, the dinner bell rings every 24 hours around the world, whether or not you’re prepared for it! Do you sometimes get texts in the middle of the day from someone asking you what is for dinner, perhaps when it’s the furthest thing from your mind and you haven’t even had lunch yet? 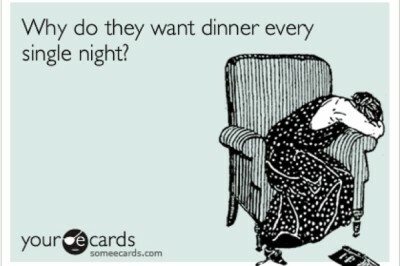 I definitely did when my kiddos were at home. So, I am going to seek out some quick dinners for the blog that will appeal to the senses, but also go easy on the time commitment. I hope to post several this Spring. In fact, if you have any quick meals that you love and think would make good posts for the blog, please send them to me by clicking on the Contact page in the toolbar. I’d love to share some reader recipes! 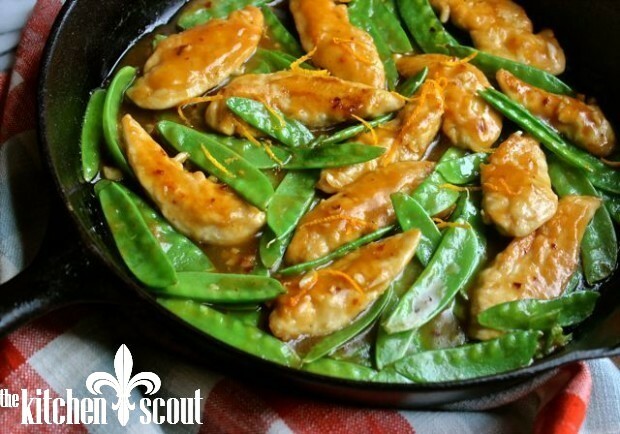 So let’s start with this recipe for Orange Sesame Chicken with Snow Peas shall we? It’s a recipe I’ve had in my files from a cookbook by Ellie Krieger. You may remember a recipe I posted for Grilled Zucchini Roll-Ups with Herbs and Cheese that was also from Ellie? I really like her recipes because they are big on flavor, easy to execute and generally healthy as she is a nutritionist. 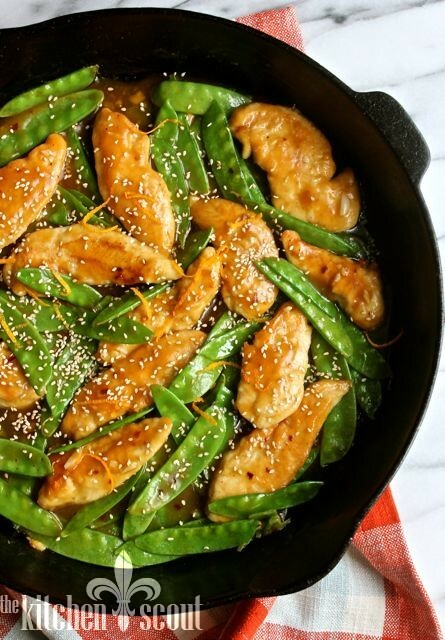 Orange Sesame Chicken fits into each category and you can cook this recipe in under 25 minutes, less if you do some steps early in the day. Perfect quick meal. 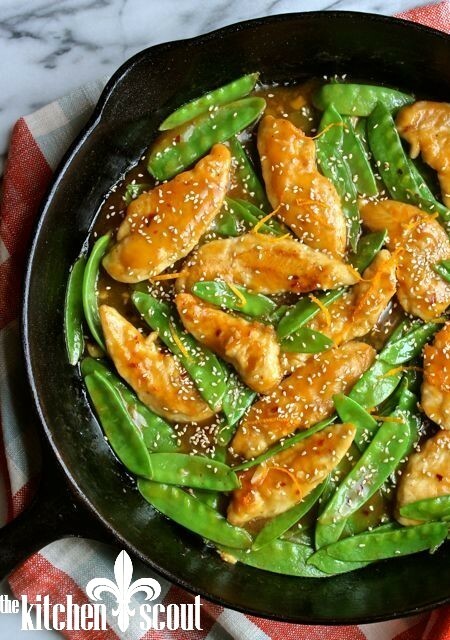 Orange Sesame Chicken is light, flavorful and much healthier than the fast food alternative you may be tempted to pick up. Just add some quick cooking rice or quinoa, or if times allows my Spicy Sesame Noodles and you have a meal! Dinner can be ready in about 25 minutes if you use chicken tenders in this recipe. You could even prepare the sauce ahead of time, making prep even faster! Serve with your grain of choice. You can omit the red pepper flakes or increase them depending on your preference. You could even swap shrimp for the chicken but just sprinkle them with salt and pepper and omit the flour. You may want to double the recipe for big appetites. Recipe adapted ever so slightly from Ellie Krieger's Weeknight Wonders. Toast the sesame seeds in a very large skillet over medium high heat, stirring frequently, until they turn golden and begin to pop, 2 to 3 minutes. Transfer the seeds to a plate. Using a vegetable peeler, peel 4 large strips of zest (careful not to include the white pith) from one of the oranges. Juice both of the oranges into a medium bowl. Add the garlic, broth, soy sauce, vinegar, sesame oil, honey, cornstarch, and crushed red pepper flakes. Whisk until the cornstarch is dissolved. Put the flour, salt, and black pepper into a sealable plastic bag. Place the chicken tenders in the bag, seal and shake to coat. Heat the canola oil in the same skillet over medium-high heat. Add the chicken pieces (discard extra flour) and cook, turning once until browned and nearly cooked through, about 5 minutes total. Add the sauce and orange zest to the skillet and cook stirring, until the sauce begins to thicken, 1 to 2 minutes. 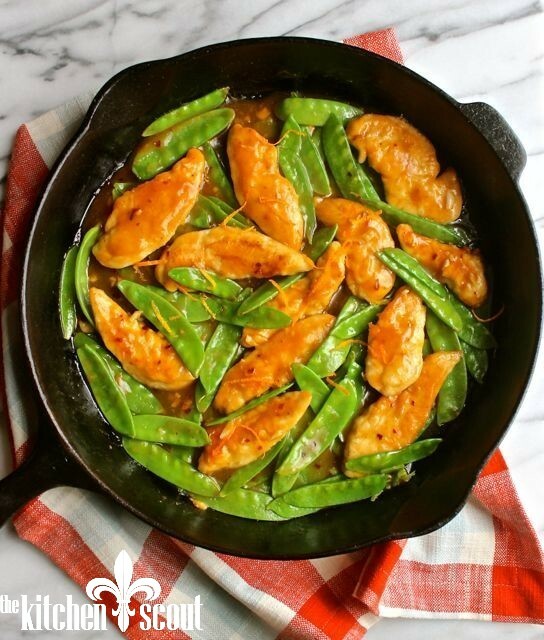 Add the snow peas and cook until crisp-tender, 2 to 3 minutes. Remove and discard the strips of orange zest. Serve garnished with the toasted sesame seeds. My family really loved this dish, Valerie…and I love that it is a delicious meal I can pull together after work. 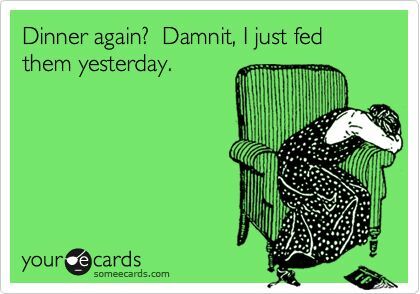 I’m always looked for recipes that help me get a nutritious meal on the table about 45 minutes after I walk in the door! Wonderful, Rachel! I am so glad to hear this, and really appreciate your taking the time to write a comment too!!! This looks terrific! Love your theme – now that my house is full of softball equipment, baseball cleats, band paraphernalia and school project materials! 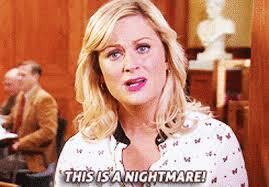 Not sure we’ll make it to June. Thanks Linda! Busy days for sure!!! Yum! I loved your post today. This recipe will surely be a part of my recipe collection like many other of your recipes. Thank you.